I've been sketching a lot lately. *You'll notice it on my instagram account* To tell you the truth, I am no way comparable to other artists, as they were really good in drawing and such. 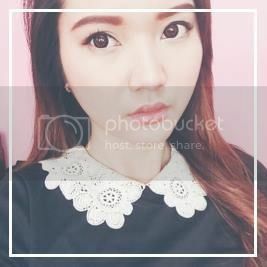 I'm only a self-taught artist and trying my best to achieve a good artwork. Anyway, I bought some stuff to feed my craving for art supplies. I'm not even sure why I got this one. 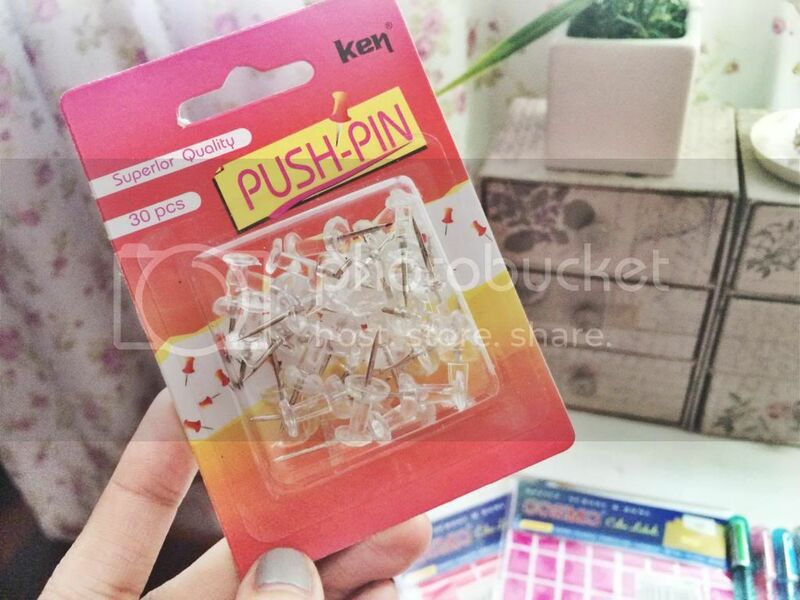 I was looking for a white one but only found this clear push pins. 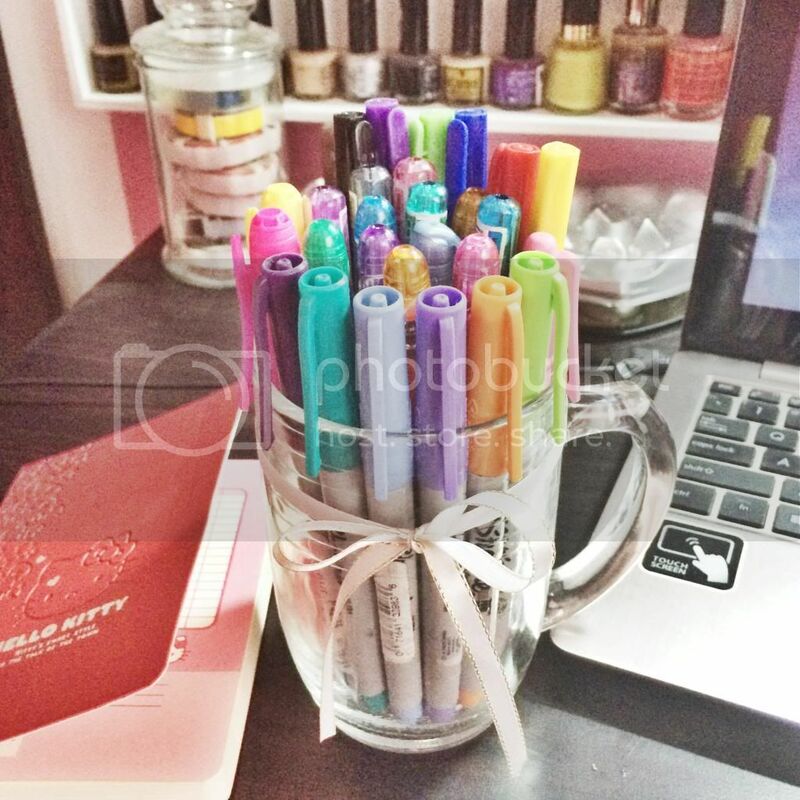 I'm planning to replace my colored once that I have used in my DIY bracelet organizer. Also got this label stickers, just because they were so cheap. 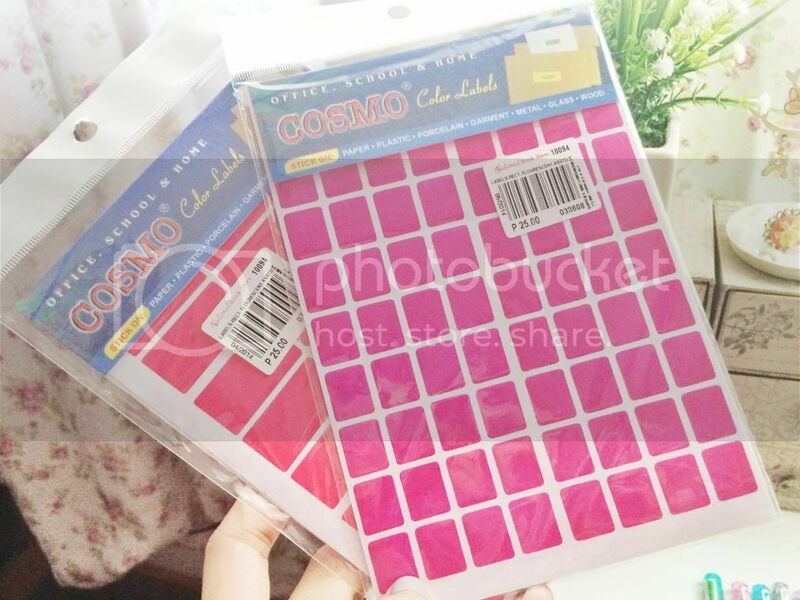 Only P25 for like 5 sheets of this pink colored sticker labels. I got 2 of them. One in peachy pink shade and the other one in magenta. 2 highlighters. One in yellow and one in pink. I'm not sure where to use these yet. 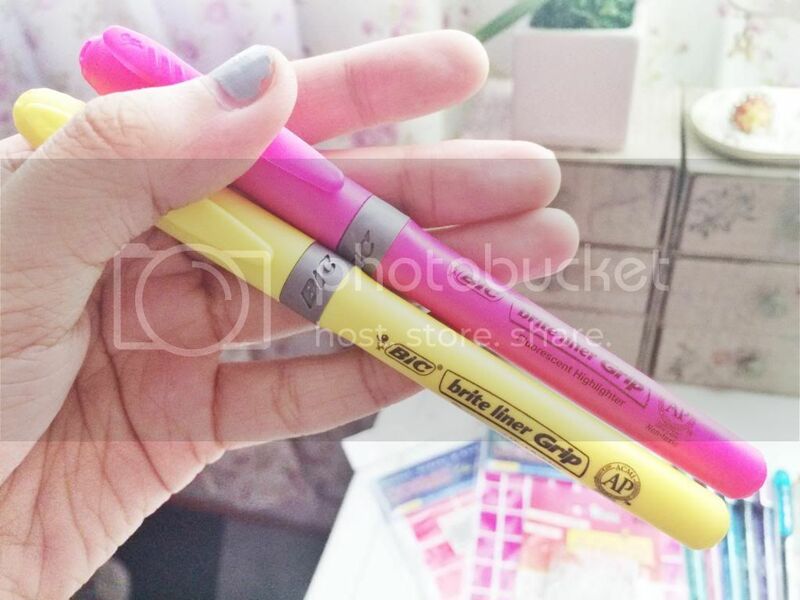 But these are the only highlighters I got in my art supplies collection. 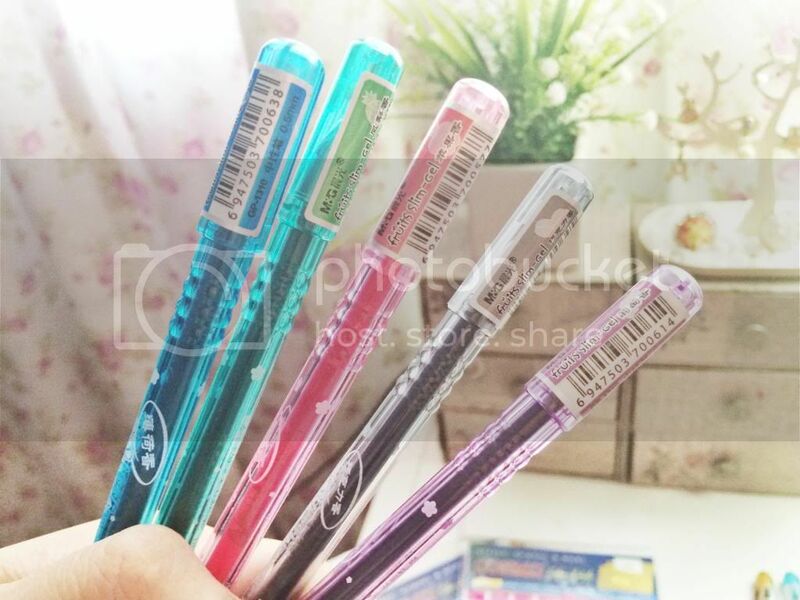 Here are my favorite MyGel pens. I use these a lot. I actually buy them often. 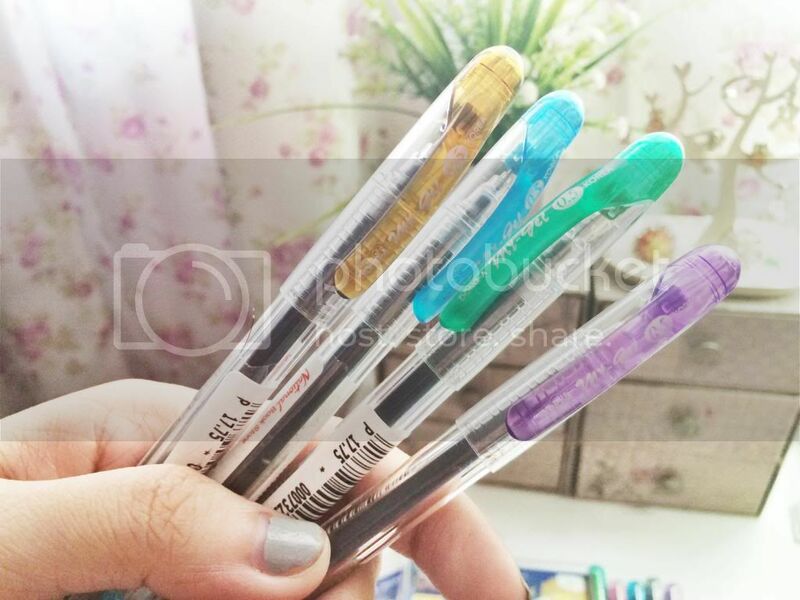 I use them in my planner, notes and even when drawing. I like to use the green on at work, purple for my notes and brown for my Starbucks planner. 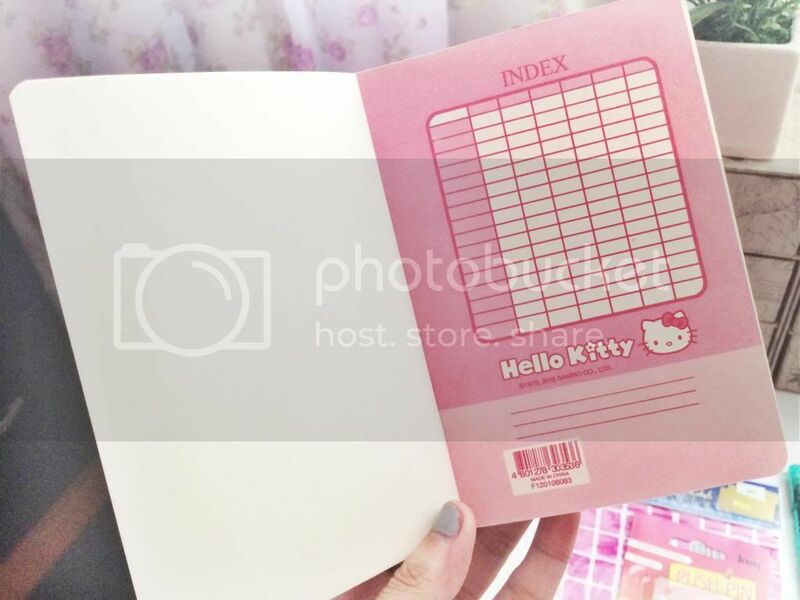 Hello Kitty notebook that I use for my lists. Like for grocery shopping, blogging ideas and other things. I like the logo below every page. Super cute! I bring this everyday at work. It's always in my bag in case I have something I need t write down. Here are my current sharpie collection. Not even using them. I just have this addiction of looking at them and not even feeling satisfied unless I buy another set of sharpie or pens. LOL. Here are my most recent purchase. I got 1 packs of sticky notes. One in 3x4 and one in 3x2. Also got a touch pen. I can use it as a regular pen and a touch pen for my phone or tablet. The other things are for my friend. I got it as a gift with other things. Also wanted to show you my new bag. I got it on sale from Marithe + Francois Girbaud for only P1,500. It was originally worth P2,950. Yay! That's all for today's post! Thank you so much for reading. Such cute stuff! Also, your new bag is awesome. 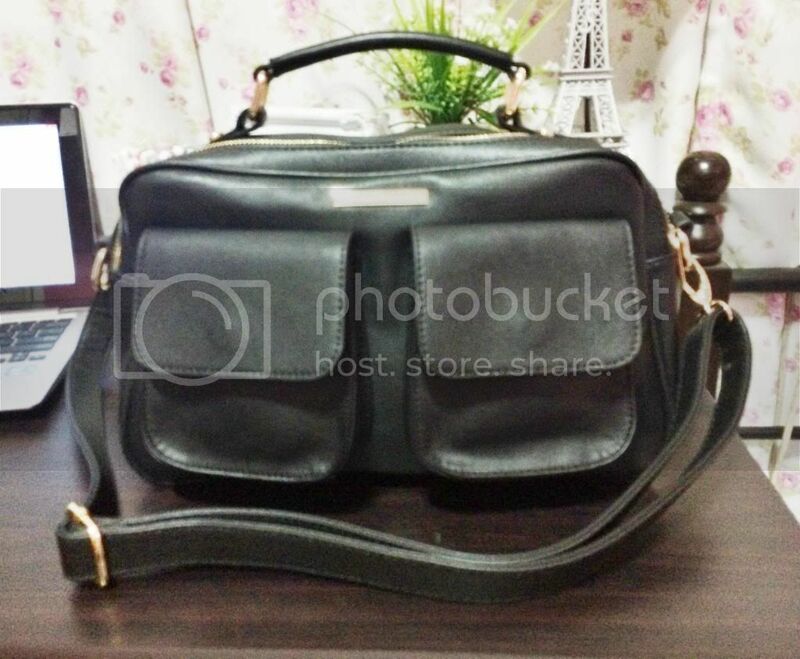 I already got a new bag, but I'd really love to get one just like that. i can't wait to go back to the philippines this summer :) can't wait to do some shopping ! 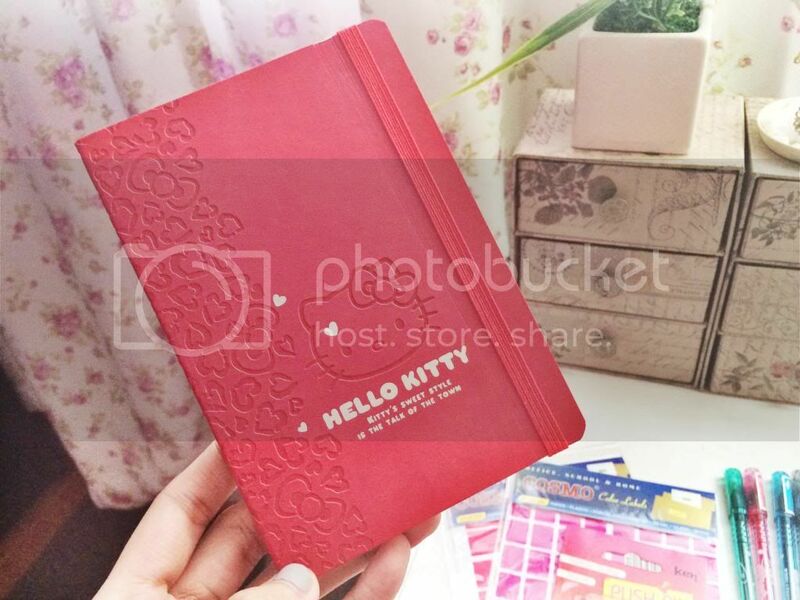 The Hello Kitty notebook is gorgeous! I've been collecting art crafts too, but the last time I used them was when I was in middle school! LOVE YOUR BUYS!!! 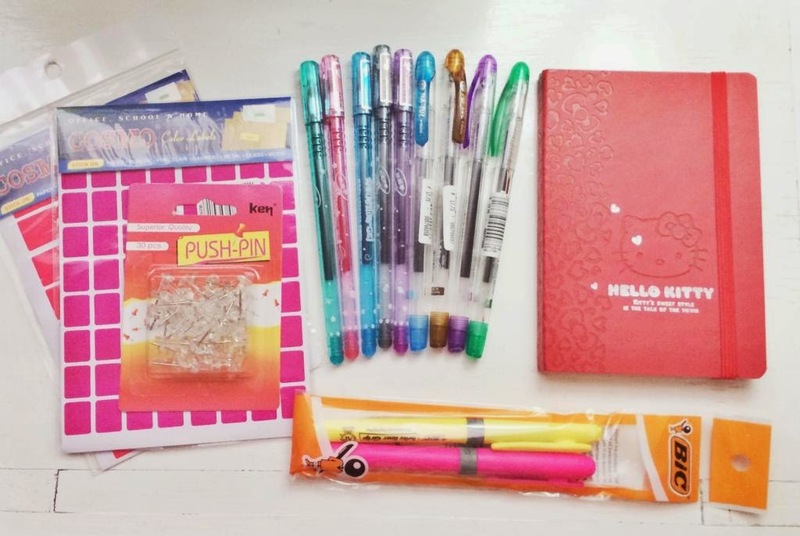 Stationary is so fun to buy. 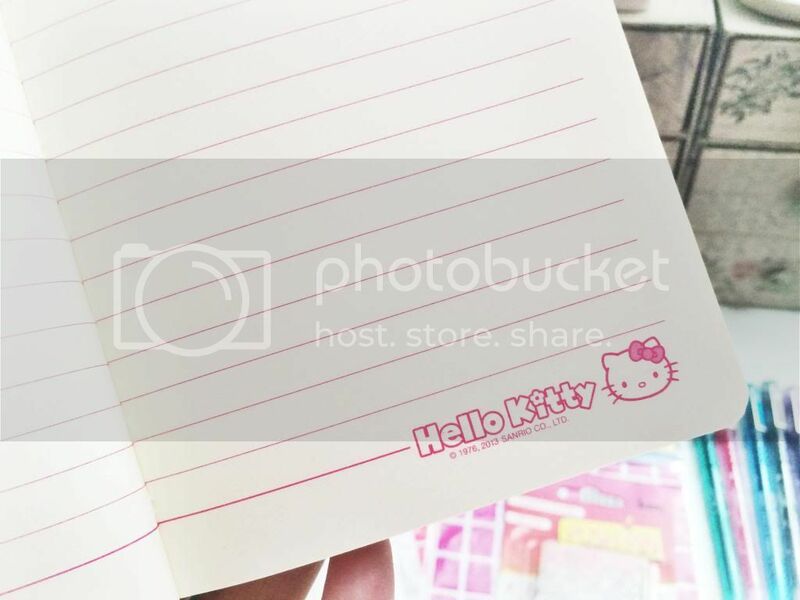 Cute hello kitty notepad. :) I'm obsessed with gel pens and sticky note pads as well! hahaha! I feel you. 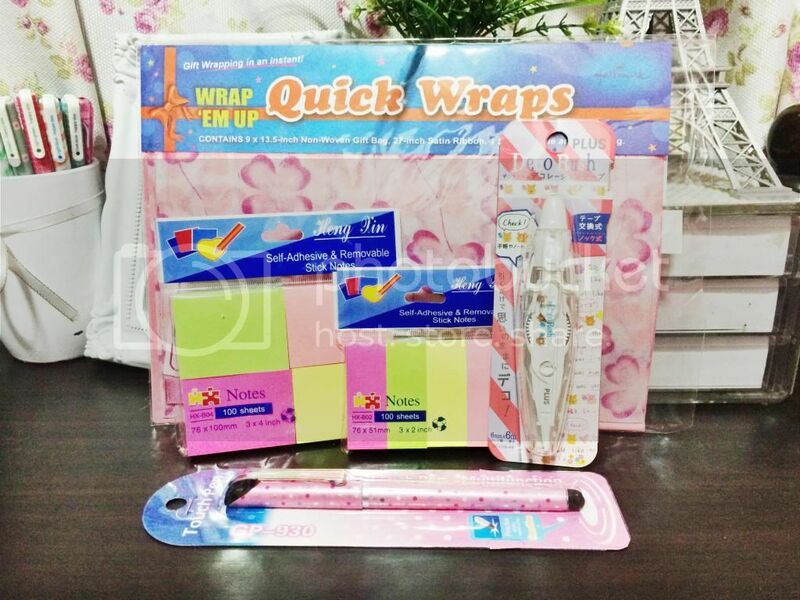 i loving buying these stuff but i don't really use them as much. yay! thanks! i use it everyday to work. it is very versatile!